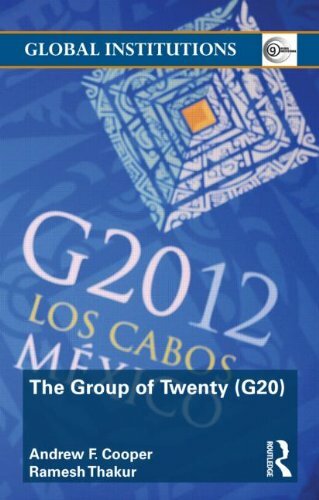 account of the G20 Finance Ministers and Central Bank Governors process, the text then moves on to outline the conditions, events and debates that led to the formation of the permanent, expanded leadersâ€™ level forum. The historical span of the G20 Summit process is not long, but the global transformations that precipitated it are crucial when seeking to understand it. Cooper & Thakur explore a variety of major debates, including: Governance by self-selected groups versus mandated multilateral organizations the legitimacy of informal leadership the issue of the G20â€™s composition of both â€˜solutionâ€™ countries and â€˜problemâ€™ countries the role of the emerging powers new conceptions of North-South relationships This work offers a detailed examination of the ongoing shifts in economic power and the momentum toward global institutional reform, illustrating how the G20 has moved from a crisis committee to the premier global forum over this short but intense history, and mapping out its comparative advantages and key challenges ahead.